For those of you who have ever wished for a tuning simulator it may be arriving in the near future. Invictus, the developer, is working on a tuning simulator called Street Tuning Evolution. The graphics shown in the video are amazing. The goal with the game is that it will allow for mulitplayer, street racing, drifting, and drag racing. Essentially this is a different approach than something like Gran Turismo. 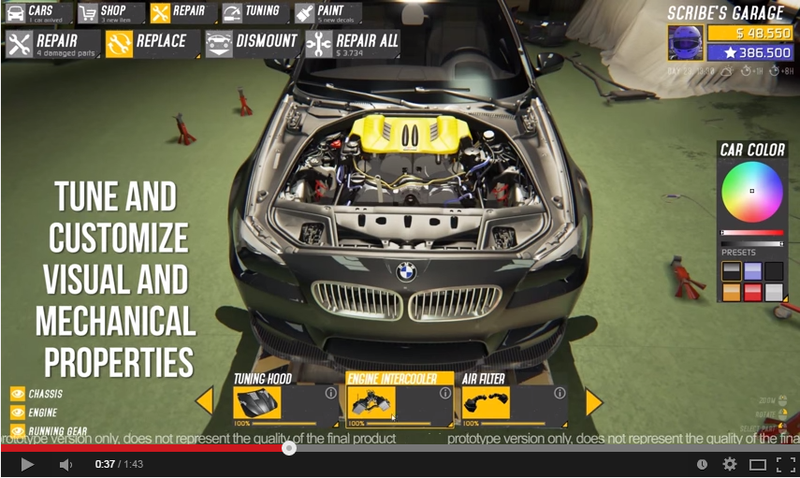 Is this the ultimate game for car enthusiasts? It's hard to say considering it's in early stage development, and there doesn't appear to be a demo. With that said the developer is looking to crowd fund this project. You can find lots of details on their Indiegogo page. I think this has some pretty awesome potential. If they're able to reach their goal and release a full blown product I'm hoping that they will be able to roll it out for other platforms. Check out their Indiegogo page, Street Tuning Evolution Campaign. The only Alpina B6 BMW E30 325i for sale in the US. Is this the ultimate GT-R?